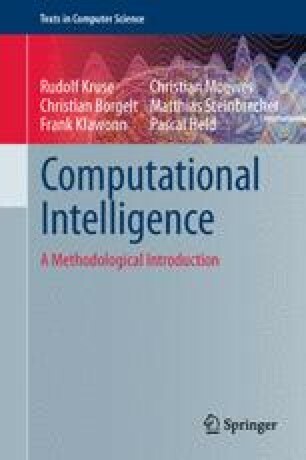 With this chapter we close our discussion of evolutionary algorithms by giving an overview of an application of and two special techniques for this kind of metaheuristics. In the first section we consider behavioral simulation for the iterated prisoners dilemma with an evolutionary algorithm. In the next section we study evolutionary algorithms for multi-criteria optimization, especially in the presence of conflicting criteria, which instead of returning a single solution try to map out the so-called Pareto-frontier with several solution candidates. Finally, we take a look at parallelized versions of evolutionary algorithms.